Do you want to start a money making agriculture/farming? 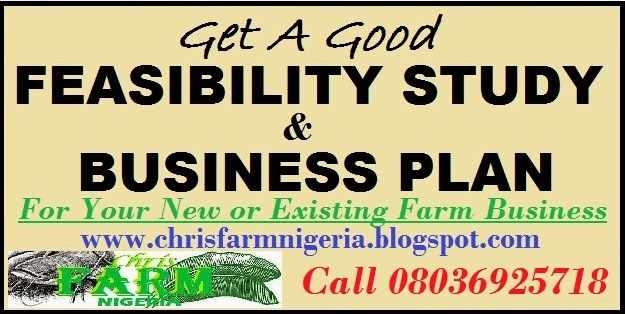 If YES, here are 50 new innovative profitable agricultural small business ideas you can start in 2019 with no money / experience. Ever wondered what life would have been without farmers? Well, if you have, chances are that you have come to realize that should there be no farmers on the face of the earth, then starvation and poverty would become our mantra. The agricultural industry is no doubt amongst the leading industry in most countries of the world; it is the industry that produces food for the populace and also helps in the generation of income. Why Start an Agriculture Related Business? Because of the significant role the agriculture sector plays, the government of most countries ensure that they go all the way to subsidize seedlings, fertilizers, and farming implements and machinery for farmers and also encourage entrepreneurs to go into farming. 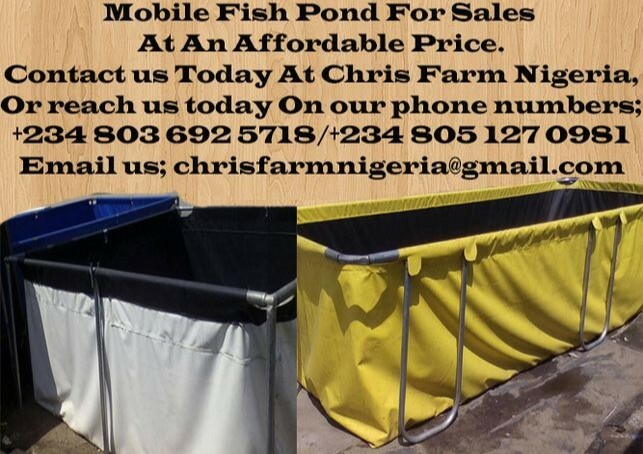 There are several business opportunities available in the agricultural industry and one good thing about the industry is that there is market for all the produce which the industry churns out. Over the years, researchers and scientist have been reaching for ways to improve crop cultivation – especially in areas where the soil composition and climatic condition does not support the growth of certain crops (cash crops, food crops et al). So also; engineers have been improving on their invention as regards mechanized farming, as well as other factors that are imperative to the trade. As a matter of fact, with the recent advancement in technology, farmers can now yet comfortably grow crops in countries where such crops can hardly survive and in places where there are few farming land, people can make use of the rooftop (basement) of their houses to cultivate crops even for commercial purposes. Rice is stable food that is consumed in all parts of the world which makes it a good crop to cultivate. If you are looking towards starting an agricultural crop cultivation business and you live in an area (preferably swampy and water logged areas) where the soil composition and the climatic conditions support the growth of rice, then one of your best options is to go into rice farming. The truth is that, you don’t have to go all the way from cultivation to processing to bagging and to retailing before you make huge profits from rice farming. There are readily available buyers of raw rice; those who have factory for processing, bagging and wholesale distribution of rice. This is a very stable type of business to go into. This is especially because of the huge reward of labor it guarantees and the profitability it brings. There isn’t any race that doesn’t consume rice; as such. It is a determiner for success. Tomatoes and pepper are another key agricultural produce that plays prominent roles in the preparation or stew (sauce, soups et al), this is irrespective of the part of the world that you live in. What is more, one good thing about tomatoes and pepper is that it is easy to cultivate. As a matter of fact that there is a large market for tomatoes and pepper. Consequently, if you are looking at considering an agricultural crop cultivation business, then one of your options is to go into the cultivation of tomatoes and pepper. It is important to state that, tomatoes and pepper are perishable crops hence proper arrangement must be put in place to ensure that the crops are sold as soon as possible after harvest. Just like most agriculture produce, vegetables are perishable crops hence proper arrangement must be put in place to ensure that they are sold as soon as possible after harvest. Usually, farmers ensure that they make arrangement with buyers before harvesting their crops; it is safer and cost effect. It is only when they can’t secure buyers that they take their crops to farm markets. In starting this business, you have got to put adequate arrangements in place so as to know who and who to ship your produce to for supply. It will also entail that you undertake some analysis in order to know the best marketing approach that will work for you. Grains are a stable food that is consumed in all the countries of the world; hence there is a global market for grains. Grains such as millet, wheat, oat, shogun, barely, cereal, soybeans, black mustard, sunflower seed et al, are of good market value. This is expressly for food processing companies that are into flour production, malt drinks and beer et al. So, if you are looking towards starting an agricultural crop cultivation business, then you should consider going into grain farming. On like vegetables, grains can last longer if well preserved. Most breweries are in the habit of purchasing these grain produce in tons of quantities. As such, you will need to be well positioned and noticed so that you can take advantage of the opportunities these organizations have got to offer. Groundnut is a cash crop that can is consumed in all the parts of the world. The truth is that, there is a large market for groundnuts. If you live in area where the soil composition supports the cultivation of groundnuts, then you should consider going into the cultivation of groundnut. There are a whole lot of things that can be gotten from the groundnut after it has been processed. There is the groundnut oil; there is also then peanut butter, amongst other things. Sweet potatoes and Irish potatoes are crops that are consumed globally and it can be processed into different forms. It can be eaten when cooked, and when fried. Potatoes chips can easily be packaged and exported from country to another. Thus, if you are looking at starting an agricultural business, then one of your options is to go into the cultivation of sweet potatoes and Irish potatoes. 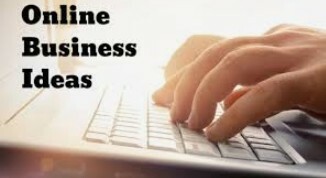 It is a cool way of making money because there is a readily available market. It is very important that you garner some business management knowledge; so that you can drive your business the way it should be driven. Doing this would tantamount to you positioning yourself for profitability. There are several types of fruits that exist. They are such as mangoes, cashew, guavas, oranges, apples, pawpaw, cherry and the list goes on. No doubt there is a large market for fruits and the fact that fruits can be processed into drinks and juice makes it highly sellable. If you have access to a large portion of land, in an area with good soil compositions and good climatic condition, then it will be to your advantage to go in fruits cultivation. You can afford to go into the cultivation of various fruits at the same time or you can choose to cultivate a handful of fruits especially fruits that are in high demand in your area. If you have the right information needed and enough to help you launch out, then you would be surprised at the large market you will command when you start on a right footing. Cassava is a crop that is predominantly consumed in South America and Africa. It can be processed into flours and also into chips. If you live in Africa especially West Africa or you live in South America, and you are looking towards starting an agricultural crop cultivation business; one of your options is to go into cassava plantation. Cultivating cassava is less stressful especially if cultivated in a land to supports its growth. Furthermore, these days, cassava is even being used as flour to produce breads, and other flour based meals. So, you see that the list is indeed endless. Begin your plantain plantation today, and in no time you would smile to the bank. Pineapple juice, pineapple chips and pineapple flavor et al, are products from pineapples. One good thing about starting this trade is the point that these products can be exported from one country to another, because there is a global market for pineapple products. So, if you are looking towards starting an agricultural crop cultivation business, then one of your options is to go into pineapples cultivation. Please note that just like most agricultural produce; pineapples are highly perishable hence you should make sure you make arrangement for selling them before it ripens. When it comes to selling pineapples sourcing for juice production company is your best bet. Apples are some of the few fruits that can last for a while and stay fresh if well packaged- which is why it is easier for apples to be exported from one country to another. Although apples don’t grow in all the countries of the world, but if you live in a country where the soil composition and climatic condition supports the growth of apples, then it will be a good idea to start your own apple plantation. There is a global market for apples and aside from the fact that apples can be eaten fresh from the trees just like other fruits, apples are used in the production of juice and drinks et al. People are aware of the fact that apples help keep the doctor away, and so the consumption of apples would continue to be on the rise. Yam is another tuber crop that is cultivated majorly in Africa, South American and in most countries of the world. Yams can be eaten when cooked, fried and as flours et al. No doubt there is a large market for yams. As a result, if you are looking towards starting an agriculture crop cultivation business and you live in Africa or South America, then one of your options is to go into the cultivation of yam. Unlike most agriculture produce, yams if well preserved in a barn can outlive one season. You do not necessarily have to be the person doing the cultivation. 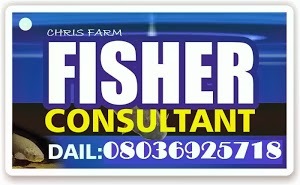 You may think to just handle the business management aspect, whilst you hire farmers to help with the operations. Mangoes takes time to grow from seedling state to fruition stage; so if you are considering going into the cultivation of mangoes cultivation, then you must be patient enough to wait. One good thing about mangoes plantation is that once the tree is up, then you can be rest assured to harvest mangoes once or twice a year. There are some species of mangoes that can produce mangoes fruit twice in a year- if that is the type of species you would like to start with, then you may consider asking experts to put you through in that line. There is hardly any part of the world where mangoes are not consumed either directly or after been processed as juice et al. This goes to show that there is a large market for mangoes. Orange is perhaps one of the most popular fruits in the world; there is a massive market for oranges. As a matter of fact, owning an orange orchard is an investment because year in year out you will continue to generate income from it. Oranges are consumed directly and predominantly as drinks and juice. So if you are looking towards starting an agriculture crop cultivation business, then one of your options is to go into orange farming. It is a cool way of making money especially if you have the financial capacity to set up your own juice production company. Cashew is a cash crop that is consumed all over the world. One good thing about cashew is that aside from the fruits that can be eaten fresh or processed into juice, the nuts are also edible; they are eaten as snacks. So, if you are looking to launch out into farming, then one of your options is to go into the cultivation of cashew. Just like most fruit trees, once your cashew trees are matured, you will continue to harvest from them for as long as possible. Wools can be gotten from sheep and also from cotton wool. It is regarded as a cash crop. No doubt wool is a major component in the textile industry, as it is used in producing textiles for garments. This goes to show that there is a very large market for wool. If you have the financial capacity to go into cotton wool farming, there are no limits to the income you can generate as long as you have vast hectares of land to cultivate cotton wool. Cotton wool can easily be exported from one country to another and there is readily available market for cotton wool. Rubber is another economic crop that has great value. Rubbers are used in producing loads of products ranging from containers, to bags, to electrical and mechanical components hence there is a large global market for rubber. If you are looking towards investing in the crop cultivation, one of your best options is to go into rubber cultivation. As a matter of fact, a handful of rubber trees can sustain a family from one generation to another; that is how valuable rubber is. In essence investing in a rubber plantation is and investment of a lifetime. Just like rubber, palm fruit is yet another economic crop that as great value. Owning a palm fruit plantation is a lifetime investment. 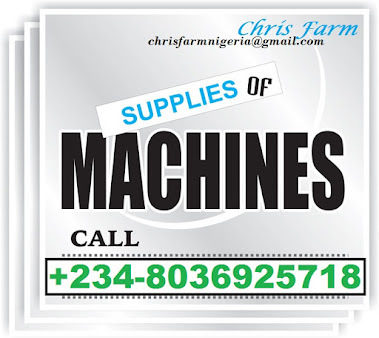 You are like going to generate income from your palm fruit plantation for as long as possible. Palm trees and palm fruits are used in the production of loads of products ranging from creams, to palm oil, to palm wines, to chemicals, to brooms and craft works et al. If you have access to a large portion of land in an area with soil composition and climatic conditions that supports the growth of palm trees, then one of your best options is to go into the cultivation of palm fruits. Just like rice and most grains, beans is another stable food that is consumed in all the parts of the world. This goes to show that there is a large market for means. Beans if well preserved can last long and they can be comfortably bagged and transported from one region to another. If you looking towards going into farming and you live a region or country that has soil composition and climatic condition that supports the cultivation of beans, then you should consider going into beans farming. There are different types of beans that you can cultivate, just ensure that you conduct your research and market survey before making your choice on the type of beans that is highly marketable in your country. Maize is yet another crop that is consumed globally. As a matter of fact, maize can be processed into various forms; gourmet, flour, beers et al. No doubt there is a large market for maize and maize is simple to cultivate. In most parts of the world and perhaps with the aid of scientific advancement, maize can be cultivated all though the year irrespective of the season. So if you are looking towards starting your own farming business, especially a product that can be cultivated within a short period of time, then one of your options is to go into maize farming. Tea and coffee are considered as cash crop that can be cultivated in a country and exported to another country. As a matter of fact, tea and coffee are the major export from some countries; it is one of their major sources of income generation. Tea and coffee are cultivated in most countries of the world and there is a large global market for them. So, if you are looking towards going into exportation of agriculture produce from your country to another country, then one of your options is to go into tea and coffee farming. 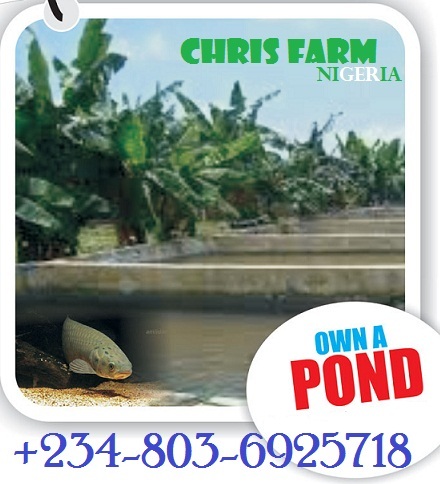 It is a highly profitable farming business to go into.